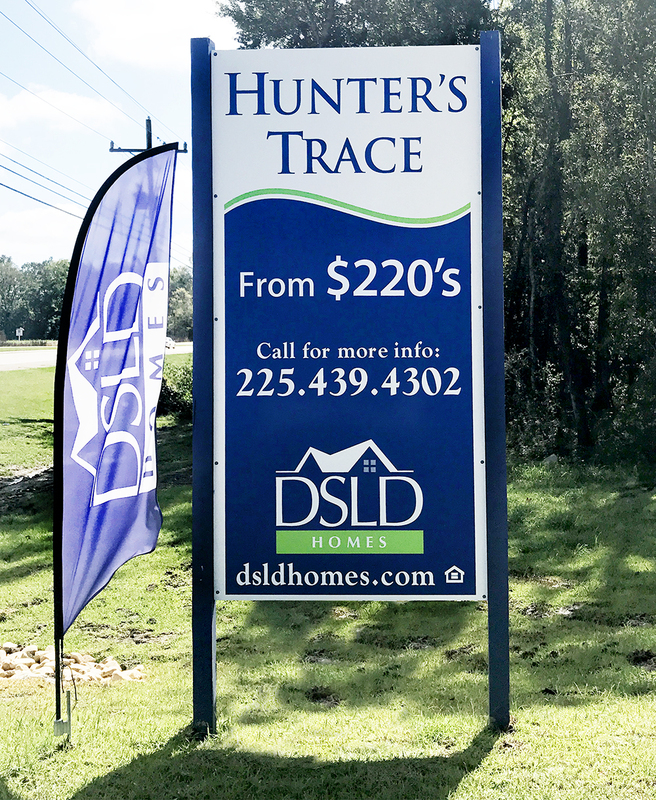 DSLD, a builder of homes in Louisiana, Mississippi, Alabama, and Florida, needed a dedicated source for their print communications and promotional materials. With developments in four states, there are many moving parts that have to work in coordination in order to be successful in the competitive home building industry. 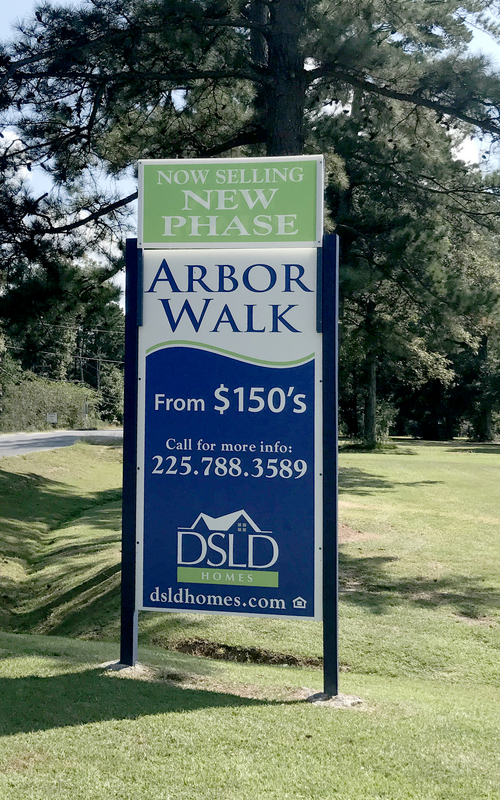 DSLD needed a dedicated source to provide their print communication and promotional needs ranging from for sale signs and business cards, to flyers and open-house feather flags. VIG created an online store for DSLD to manage their divisional needs. 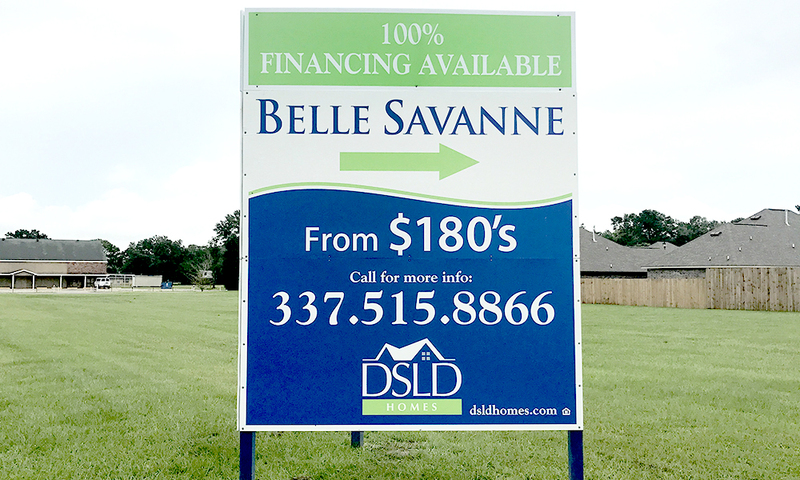 Managers are able to order the supplies necessary to promote their developments and to promote them to first time homebuyers. 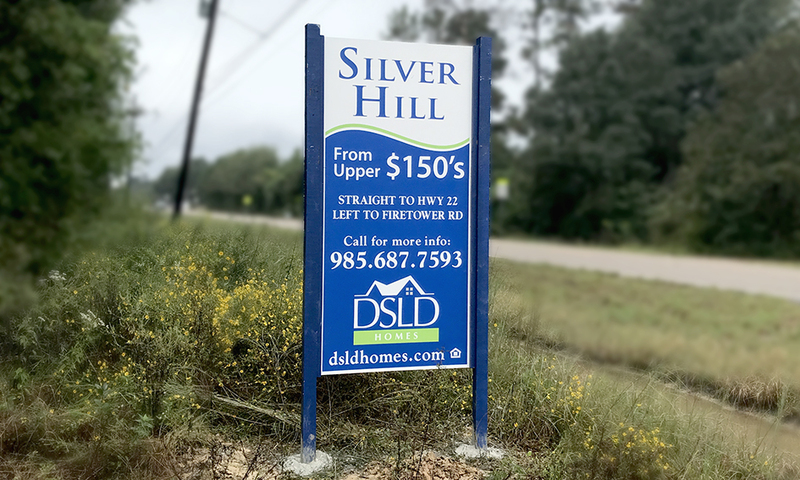 Large plat signs were installed at local developments with VIG handling all of the necessary permitting and approvals. 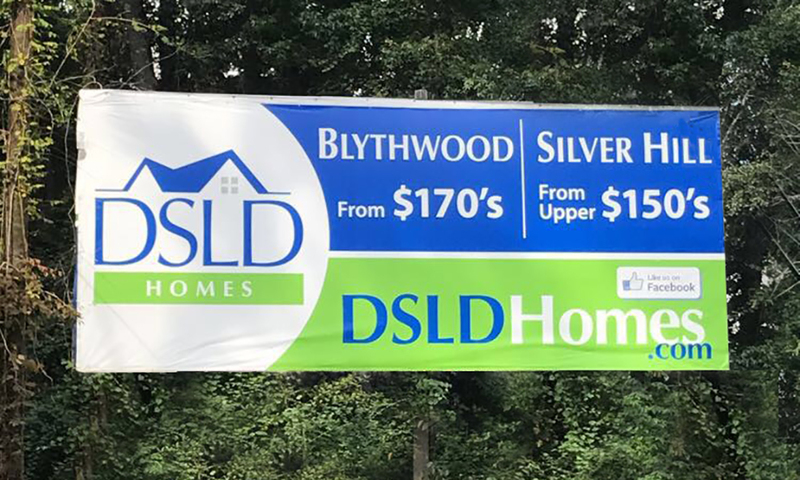 DSLD had a one-call solution to their developmental marketing which is handled through their portal, available 24/7 by phone, tablet, or computer. Sales managers are able to support their staff with the tools necessary to engage customers. With a one-call solution for their marketing and promotional needs, time is saved, effort is focused, and the bottom line improved. 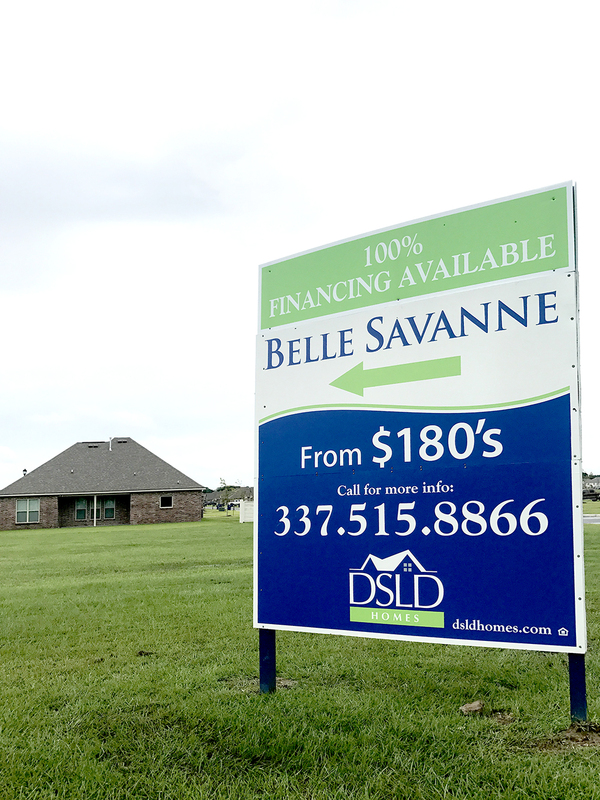 Our developments require constant staffing with a team that has to be responsive and ready at a moment’s notice. Vivid Ink Graphics keeps us stocked with the tools we need to focus on the task at hand: putting families in homes.